I have known about Tifosi for years. They sell them at Performance Bicycle and I have tried on a few pairs, but never pulled the trigger. Last year I reviewed the Seek FC (click here for my review). Tifosi is the Italian word for “super-fan” or an avid sports enthusiast. Tifosi designs, tests, and completely tortures their products to make sure that their products perform flawlessly under the most extreme conditions. That is probably why they are the #1 selling brand of sunglasses in specialty cycling and running stores. Tifosi strives to provide sports optics products that fit well, look great, and offer a high level of value to their customers. 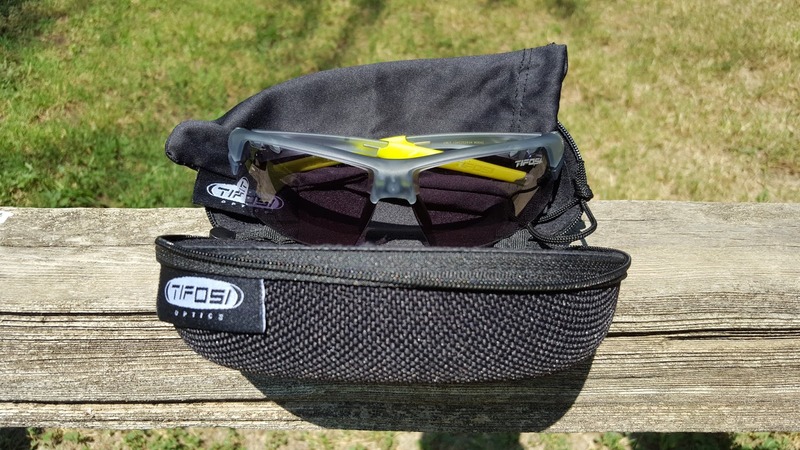 Tifosi sent me the Crit sunglasses with their Fototec (photocromatic) lenses. They automatically change the tinting in response to changing light conditions. In bright sunlight, the lenses get darker (15.2% light transmission) and in lighter conditions, the lenses lighten (47.7% light transmission). It takes about 7-10 seconds for the sunglasses to fully transition, but I never even notice the change. 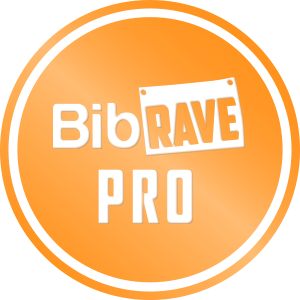 They are perfect for running around dawn or dusk, which is when I do my long runs. I was able to leave the house when it was sunny and get back when it was fairly dark and never had to take the sunglasses off. They might not be quite dark enough for the brightest of conditions, but are more than adequate in most situations, even here in sunny California. 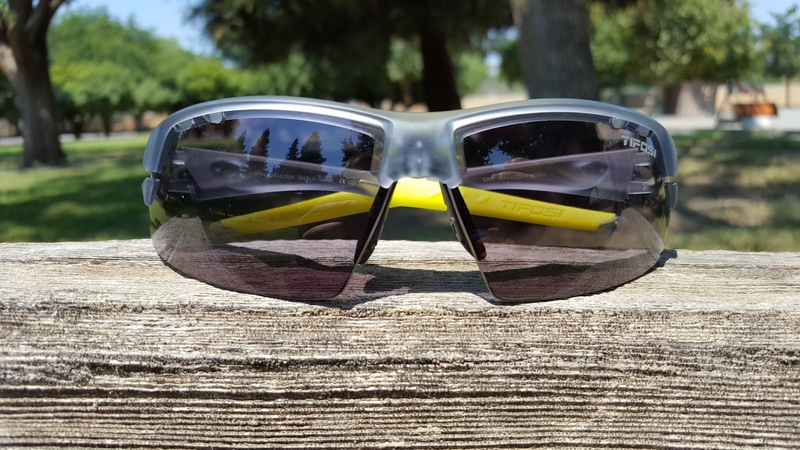 They also have vent ports at the top of the lenses which are awesome at eliminating fogging and it keeps you a little cooler as well. The frames are made with TR90, which is an extremely durable nylon resin that prevents breaking and stretching. The ear pads are adjustable and so are the nose pads and come with a Hydrophillic coating for a no-slip fit. 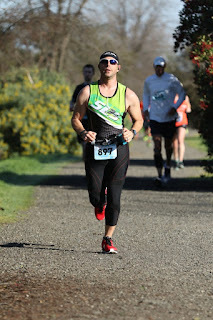 The sunglasses in general are extremely light weight and do not bounce when you run. They are made to fit people with medium to large sized faces. The one thing I didn’t like about the Seek FC last year was if I wanted to put the sunglasses on top of my head, they were too loose and almost fell off. Not with the Crit though. They had no problem staying put. These are awesome for riding as well, especially with the vents. The Crit comes with both a hard case as well as a soft microfiber bag. All Tifosi products come with a lifetime warranty against manufacture defects. These are some awesome shades and the price is excellent. 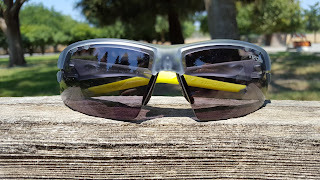 These are my go-to cycling lenses right now. It is really hot out and I have never had an issue with fogging. 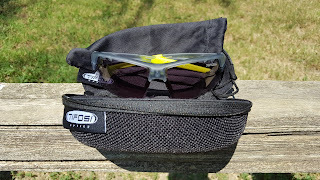 I would recommend getting these sunglasses, especially if you tend to run in the morning or evening when lighting might change throughout your run. You can pick up a pair on Amazon or at a store near your (click here for locations). These are a great pair of shades at a really good price. Check them out when you have a chance.